The 48 titles that compose this piece are individually universal. It’s the combination of these titles that makes this piece personal. Many of the titles directly relate to one another while others contradict their very nature, speaking to the complexity of our faceted identities. 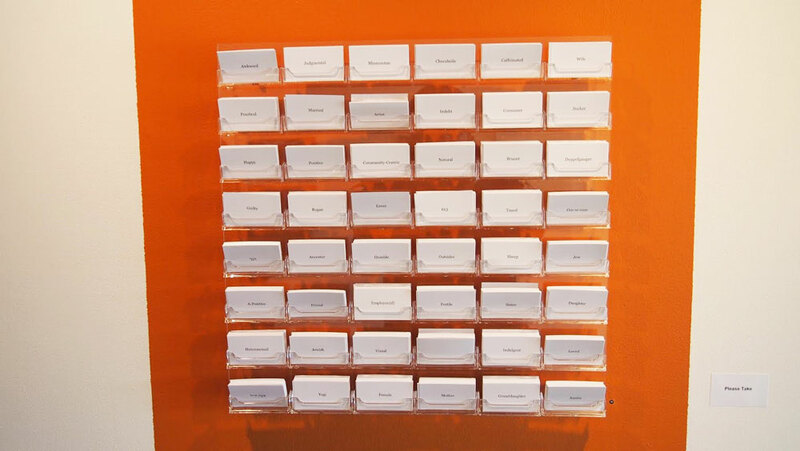 This installation uses the familiar concept of business cards as its media, inviting the viewer to take cards that resonate and share with others.